Young forward with great athleticism and length. Explodes off the floor and is a great finisher. A truly outstanding athlete with exceptional quickness and leaping ability. Gets off the floor in a hurry and is an above the rim player. Shows good footwork in the post and is developing a nice back to the basket game, including a nice drop step and spin move. 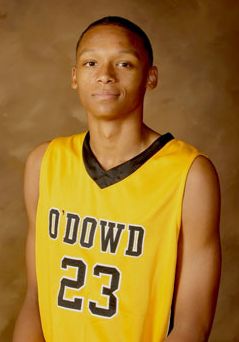 Shoots the ball with good form and will likely expand his range to the college three. Gets good separation on his step back jumper. Solid shot blocker and interior defender. Has very quick hands and good awareness on D.
Lacks strength at this young age but should fill out over the next few years. Is a bit undersized compared to some PF prospects.